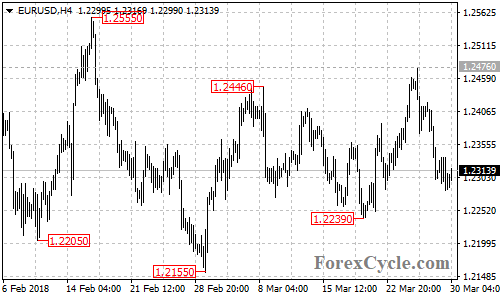 EURUSD extended its downside movement from 1.2476 to as low as 1.2283. Further decline to test 1.2239 support is possible after a minor consolidation and a breakdown below this level could trigger further downside movement towards 1.2155. Near term resistance is at 1.2350, only a break of this level could bring price back towards 1.2555.